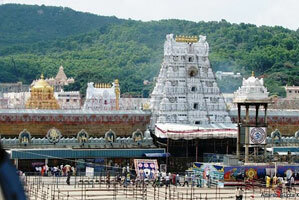 There are other famous shrines in Tirupati town - Govindarajaswamy, Kodanda Ramaswamy, Tiruchanur (Goddess Padmavathi), Kapila Theertham (Lord Shiva) and Srinivasa Managapuram (Sri Venkateswara). 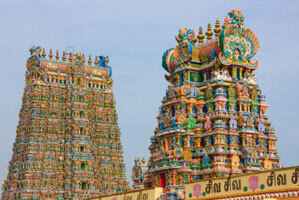 Rameswaram is hallowed by the epic Ramayana. 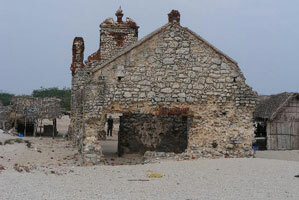 A devout Hindu who visits Varanasi is expected to visit Rameswaram also for the culmination of his quest for salvation. Rama sanctified this place by worshipping Lord Siva after the war against Ravana. Chidambaram greets us with a beautiful temple, dedicated to Lord Nataraja- God Siva, in the form of a Cosmic Dancer. 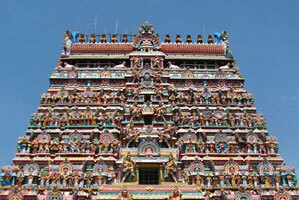 This is one of the few temples where Siva and Vishnu are enshrined under one roof. The city of a Thousand Temples Ancient Kancheepuram, the city of thousand temples, is one of the most sacred pilgrim centres for the Hindus. 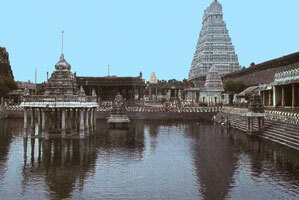 There now remain 126 temples in Kanchi and a few more in the outskirts. 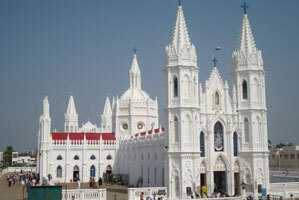 Velankanni is situated on the coastal line of Bay of Bengal at a distance of 14 kms. South of Nagappattinam. Sacred Arokkiya Madha Church here is a holy place for Christians. Nagore is at a distance of 5 Kms. North of Nagappattinam. 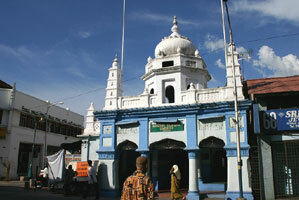 Irrespective of cast, creed and religion, people offer their worship at this Islamic shrine. Kandhuri festival during October and November is very popular.